The Menzies Institute for Medical Research is looking for volunteers to test portable air cleaners in smoke-affected areas of the Huon Valley. 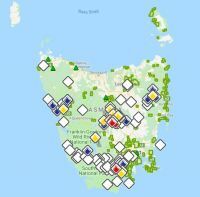 Associate Professor Fay Johnston from the Environmental Health research group said that smoke was likely to affect many parts of Tasmania for the next few weeks while fires burned across the State. “We know that air cleaners can help reduce indoor smoke during mild to moderate periods of smokiness, but these devices have not been tested under severe conditions,” Associate Professor Johnston said. “We are looking for volunteers in the Huon Valley where smoke impacts have been especially severe. “We would like to hear from people in Geeveston, Huonville, Judbury or Cygnet who are interested in having an indoor air quality monitor and a portable air cleaner inside their house for a three-week period. People interested in knowing more should call 1800 322 102 or email the study team at Air.Rater@utas.edu.au.